Michael Franken (1966) is an experienced Agile coach and software developer. 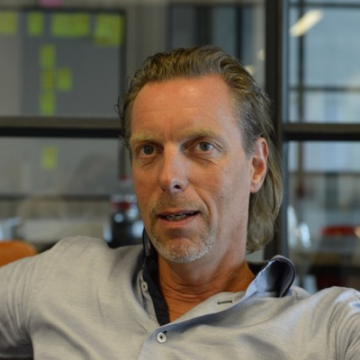 As CEO of Zilverline he and his team helps customers create great teams and great software. many influential people in the Agile community including Jeff Sutherland, and has been key in introducing Scrum in the Netherlands where he became the first Certified Scrum Trainer in 2009. He is the founder of AgileHolland, author of ‘Scrum for Dummies’ (in Dutch and German) and currently coaches Ahold, Achmea and RTL. In between coaching he builds apps for iPhone in Swift.